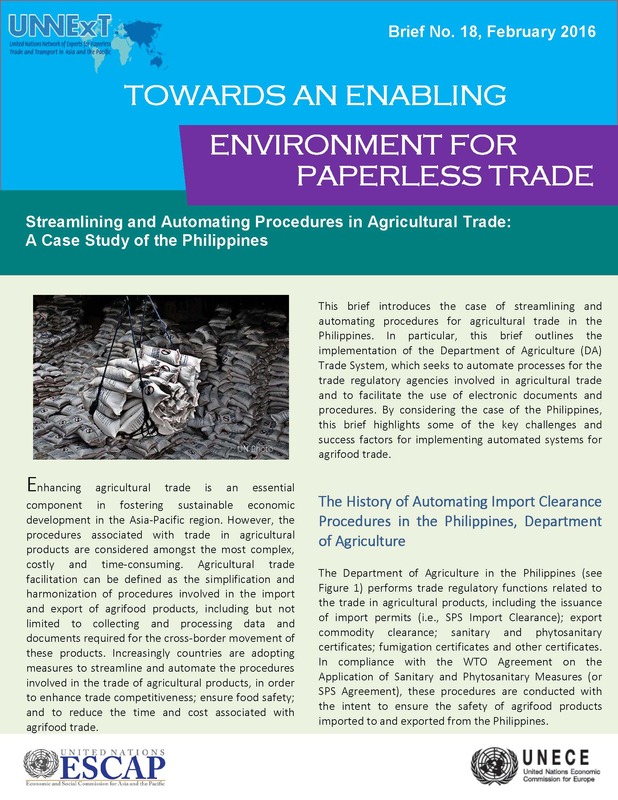 This brief introduces the case of streamlining and automating procedures for agricultural trade in the Philippines. In particular, this brief outlines the implementation of the Department of Agriculture (DA) Trade System, which seeks to automate processes for the trade regulatory agencies involved in agricultural trade and to facilitate the use of electronic documents and procedures. By considering the case of the Philippines, this brief highlights some of the key challenges and success factors for implementing automated systems for agrifood trade.